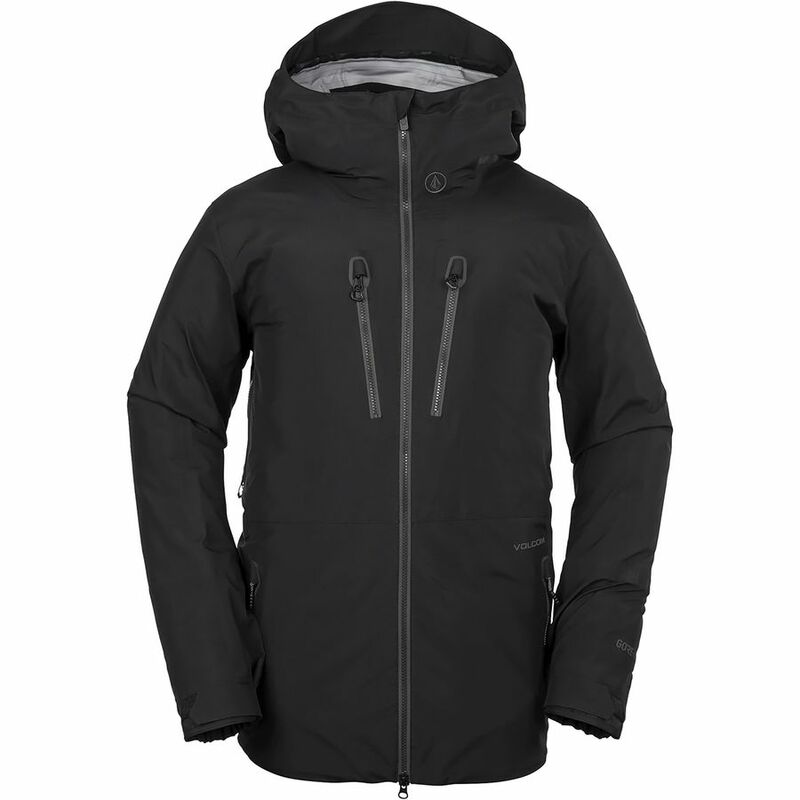 This interesting jacket from Volcom combines a high-end Gore-Tex shell with Volcom’s innovative Thermal Defense System or TDS. The TDS is strategically placed down insulation that is seemingly taped to the shell. 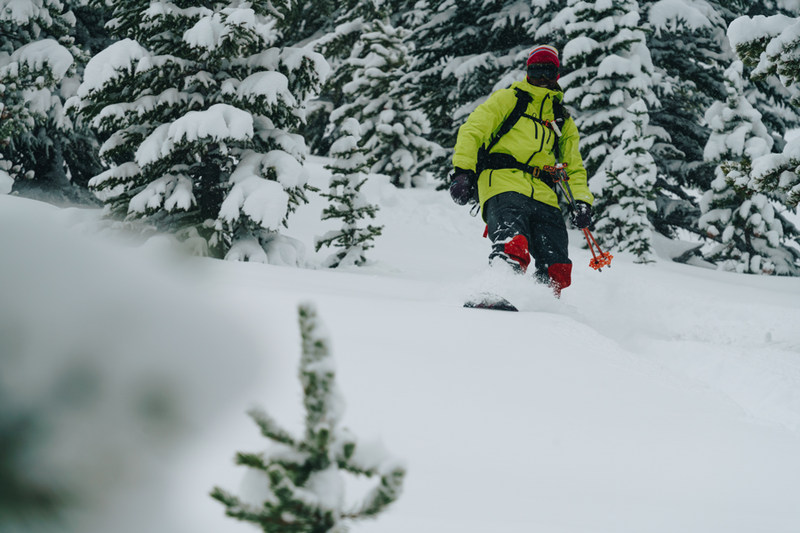 This provides results in a an incredibly lightweight and packable jacket that still gives you all the performance of a 3-layer Gore-Tex shell and some of the added benefits of down insulation all in one garment. Featuring perks such as elastic wrist gaiters, a drop tail fit, an included stowable facemask, and many others. 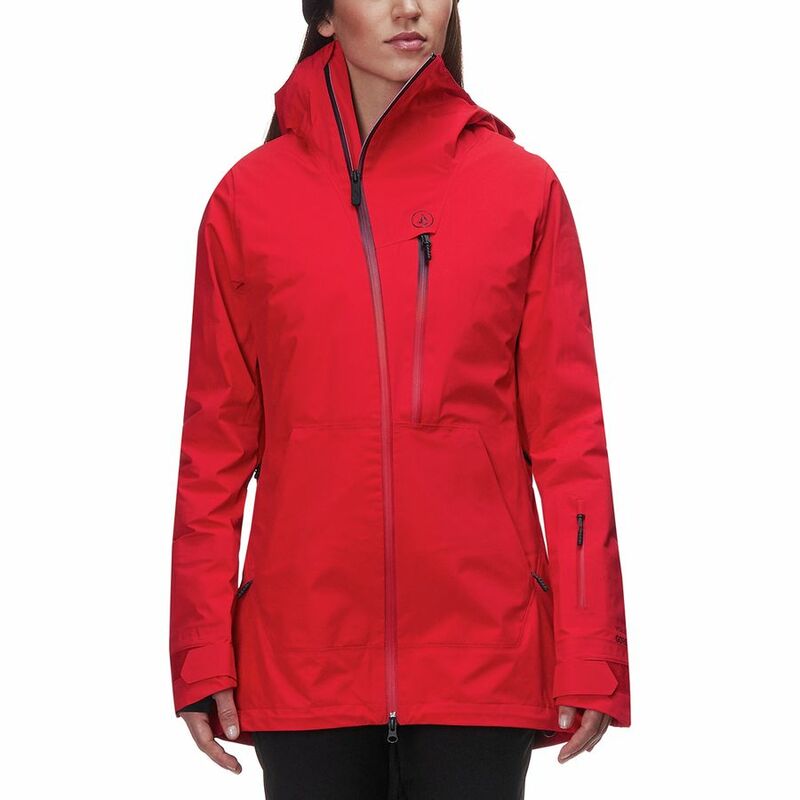 Built for those long cold and stormy days on the mountain, this jacket is sure to be up to the task. 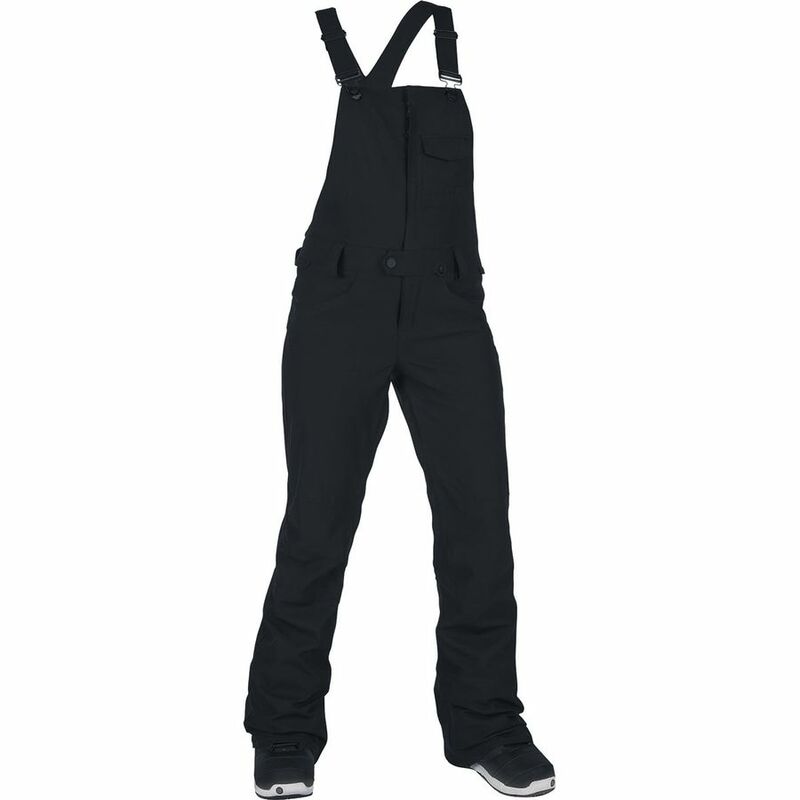 Volcom Rain GORE-TEX Bib Overalls Starting at: $366.30 These 2 Layer Gore-Tex bibs are an ideal choice for any day on the mountain. Built to keep you warm and dry. 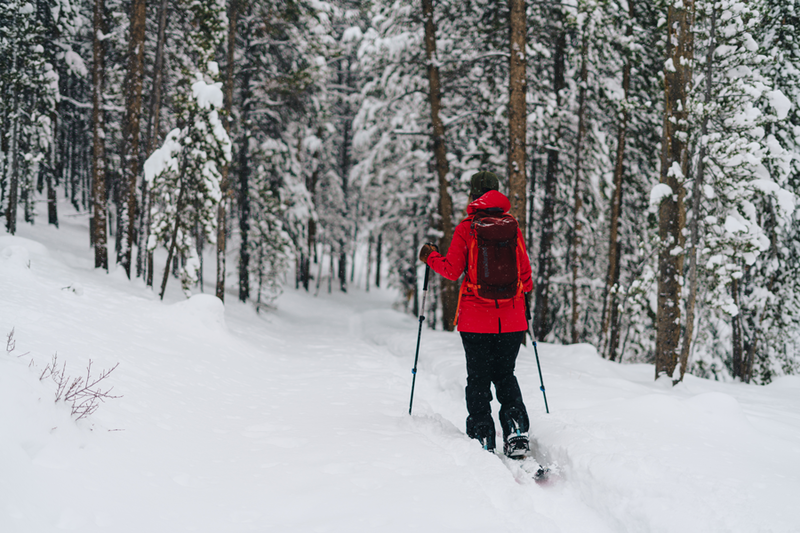 Bibs are a favorite of testers for their ability to keep the snow from creeping in on deep days as well as the comfort. 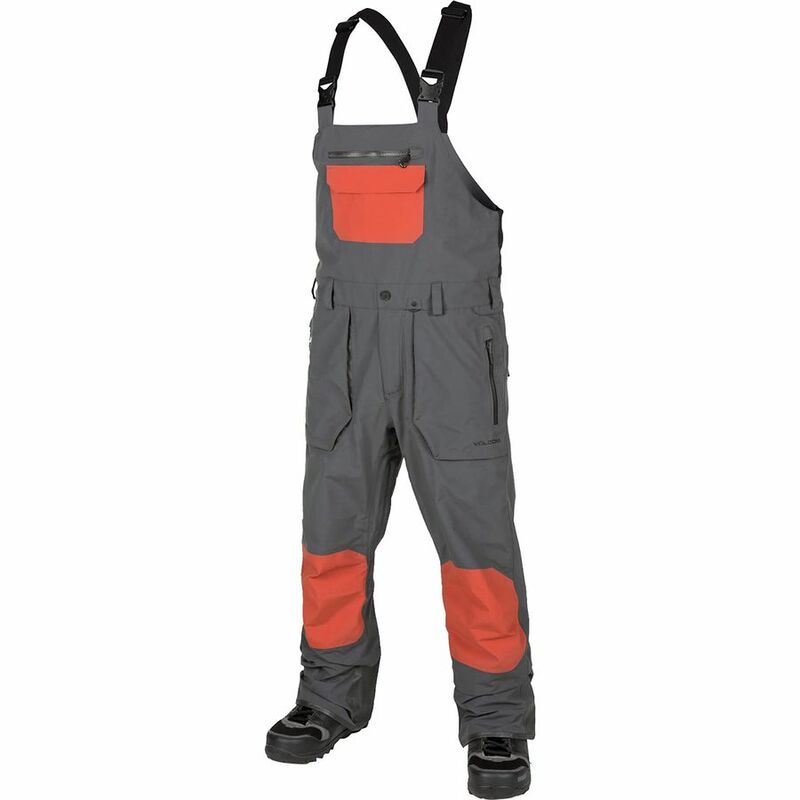 The Rain bibs feature a “Guide Articulated Fit” which was designed in conjunction with Baldface guides to have a relaxed fit with articulated knees and a straight side seam. 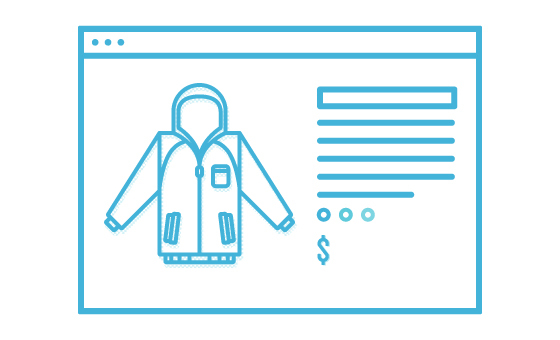 Testers love all the pockets for stashing snacks and phones at the resort and an avalanche beacon when venturing into the backcountry. Vents help dump heat when setting the skin track. 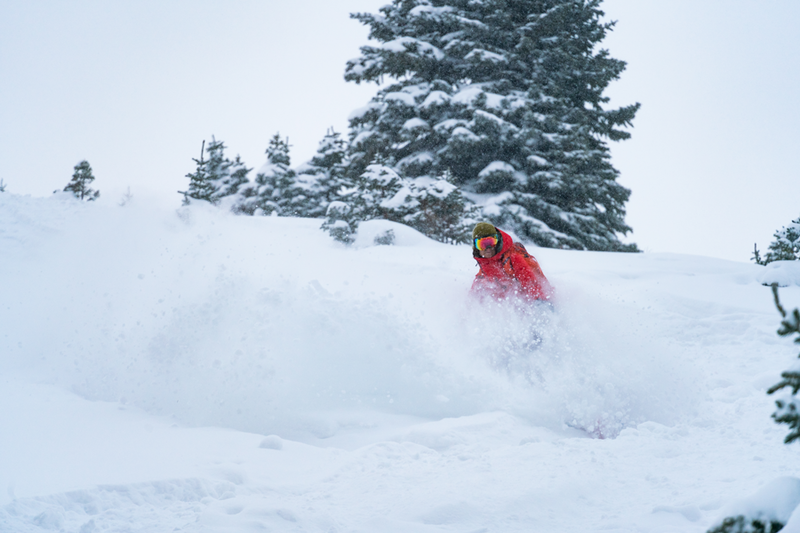 The Zip tech feature on both the pants and jacket are useful on those super deep days to completely seal snow out.